Welcome to Bluechip Gulf – At Bluechip Gulf, we try to meet all your technology needs in business. You can completely trust our IT Services Company in Abu Dhabi while you center on your core businesses. Meeting and surpassing the desires for our client’s is our main motive and we generally effort to exceed expectations in this to separate ourselves in accordance with our core values. We focus on your organization goals and deliver great value to our clients. Our experts help you to identify your business challenges and assure you guaranteed IT Support Services in Abu Dhabi with best practice. We also provide ITSM annual contracts to manage your IT needs and requirements. We are outstanding IT Solutions Company in Abu Dhabi for our clients that solve all the issues with a single visit or you can say we are the one-stop solution of your IT related problems. 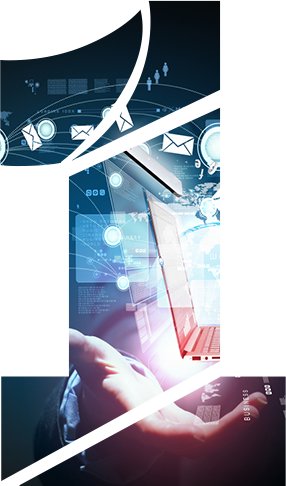 We are technology-based IT Services provider where the needs of the business stop here. We are a firm of IT Services where Our Customers trust us as the best IT Services Management in Abu Dhabi. While you are in Beginning or center on the core businesses, we provide you the best IT Solutions as per our your need of the Business. Meeting and surpassing the desires for our client’s is our main motive and we generally effort to exceed expectations in this to separate ourselves in accordance with our core values. Why Bluechip gulf is the best IT Services Company in Abu Dhabi? Bluechip Gulf can help you with any business related IT services. We are the best IT Services Company in Abu Dhabi you could find. Whenever you need our IT support to fix onsite and desktop IT related problems for your organization, we are never closed for our customers. We are a well-known company from many years with dedicated ITSM services to our customers. We specialize in handling complex IT challenges that meets your need completely. Having a team of IT Support Engineers by our side gives you the assurance and peace of mind that all-troubleshoot and IT faults will be handled quickly without any downtime. We also help you to integrate and arrange new technologies on time with no extra cost if needed, which makes your business to great success to the next level. Our accomplished group of IT engineers devote themselves proactively to guarantee that the IT condition of our customers is well dealt with so they can center their time and vitality in building up their center business. When you think about IT Managed Services, then it’s Bluechip Gulf is what you are looking out for. We are Best practice Managed IT Services and ITSM Company in Abu Dhabi, We are flexible in providing the best IT Managed Services with a single click or just a call We make your business to stand with new upgraded technology to be on top of your competitor, which makes your business growth and be unique from among other competitors. We make your business operates smoothly and is accessible to connect with our clients without any downtime or any kind of glitches. If there is an increasingly convoluted issue, our Engineers in Abu Dhabi will be sent to the affected area to determine and fix the issue. In the wake of comprehending inconveniences, our engineers will keep on checking the circumstance to guarantee that a similar issue does not happen again. Our Professional team who are experts in Technical Support field helps you to provide best Annual Maintenance Services for Desktops, Laptops, Storage systems and many other peripheral. Our IT AMC Services help our clients with decent support plans to address requirements to manage our client requirement – that help you to understand your organization goals more clearly. Moreover, our services are fully tailored – and we can create a maintenance contract just as required by our clients. Our IT services are designed to improve your operational proficiency and team productivity. Our services help businesses to reduce the IT maintenance issues, improve your organization’s future growth while decreasing all complex issues. We are 24/7 available with our IT Technical support team. 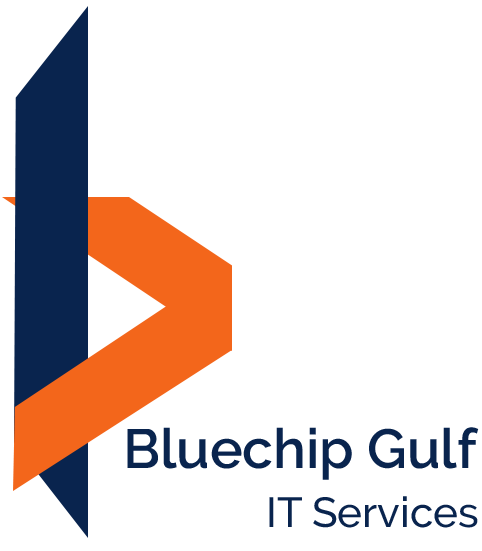 Our experts quickly identify your IT issues and resolve them as quick as possible. With our dedicated team of IT professionals, we manage your system hardware and software very smoothly. We will maximize your PC performance with low cost. We assure you that you are in safe hands when your IT system is in troubleshooting. We are professional IT Services Company in Abu Dhabi from many years, we also provide IT Solution services specialized in to realize your business goals and generate a never-ending stream of profits. Whatever might be the idea of business or size of the organization, Bluechip Gulf offers a wide range of expert administrations to empower our clients to convey, resist and succeed in a quickly changing business condition. Our IT Solutions Company in Abu Dhabi provide reliable, friendly and proactive that significantly reducing network downtime and increasing corporate productivity with peace of mind. We provide 100% client satisfaction as long-term business partners. As one of the best IT Services Company in Abu Dhabi, we completely protect your company’s IT infrastructure and maintains smooth operations. We bring the best solutions to different business sectors. We allow you to hitch the power of the latest technologies with our pocket-friendly rates. Our experts are highly responsive always ready to help you out. We Bluechip gulf is extremely transparent and inexpensive that there is no hidden cost behind our services. We strongly believe in giving additional priceless value to our customers, such as longer warranty, quick optimization of your PC and laptops after repairs. After all Computer Repair services, we will explain what we are doing and what are the precautions to avoid the problems in the future. We are proud of our highly professional technical services. We deal in all hardware and software related problems like hardware faults, software issues, virus removal, and data recovery services etc, to make your PC life longer and secure. Our firm is committed to offering you great and satisfied services at reasonable price. We provide quick and managed IT Support services in Abu Dhabi with the commitment to high-level client satisfaction. We have qualified technicians with great response and services. Our pro group of profoundly talented IT experts gives every minute of everyday master help. We realize that your business achievement depends on the smooth administration of your IT Support frameworks which is the reason our business associations start with a far-reaching assessment of all your IT bolster needs. We always try to maintain a stable and protected IT Environment for your fastest growing organization. Our optimized and efficient IT Support help you to keep your business running successfully. We manage small to complex IT issues efficiently and quickly. Our support services are custom designed that meets your business requirement and budget easily. We are always dedicated to our work with full responsibility. Our IT Services in Abu Dhabi are based on business continuity strategies that cover all hardware and software prospects. We ensure you the high level of business continuity that is suitable to your business requirement.